With so many mobile devices trying to make themselves more like notepads, it may make you wonder why there are not more pads trying to be like mobile devices. Well, the RoWrite Smart Writing Pad does. For $129.99, you get a RoWrite device, two A5 notepads, a pressure sensing pen with 2048 pressure points to help sense your actions, and an extra ink cartridge. When paired with the app, the device lets you take any notes you make and capture them digitally, so you can easily save and share them. 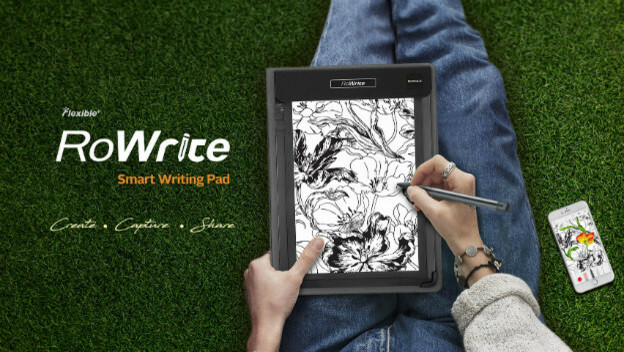 It could be great for work or play, since it lets you capture notes or drawings.